Kidepo valley national park is 1442 sq km and is Uganda's most remote and isolated protected area found in the far North east bordering Kenya and South Sudan but still with almost all variety of animals that appear in all Uganda’s national parks. The sparsely populated semi arid Karamoja land with difficult roads make it one of the least visited park in Uganda yet it is one of the most alluring destination in the Country boasting a strong wilderness atmosphere, rugged mountain scenery and exceptional game viewing and bird watching. The highest point in the park is 2797m on Mt Lutoke and the lowest point is in the Kidepo in the North east at 914m. Other higher points are at Mt. Morugole 2750m this terrain is also broken by the Narus valley in the south west of the park. The Park lies in the Semi-arid valleys of Karamoja province on the far northern border with the Sudan. Few undertake trips to the park but the spectacular beauty of this wilderness impresses all that make it. 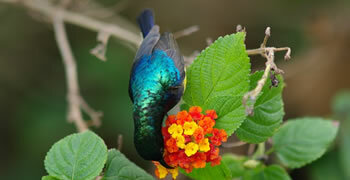 The Park boasts a bird list of over 475 species, a total second to Queen Elizabeth National Park. Other Species of interest include; Ostrich, Stone Partridge, Clapperton’s and Heuglin’s Francolins, White-bellied and Hartlub’s Bustards, Four–banded Sandgrouse, Bruce’s Green Pigeon, Abyssinian Scimitarbill, Red-fronted and Black-breasted Barbets, Brown-backed Woodpecker. The park has wooded savanah,interpersed with patches of montane forest, riparian woodland, Thick miombo woodland, Borassus palm and rocky koppies. 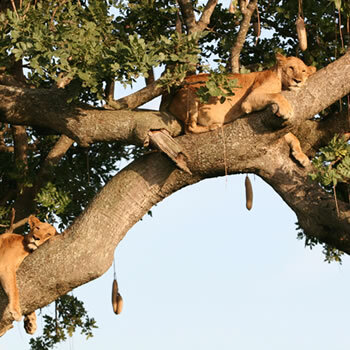 77 mammals are listed and 463 birds’ species with about 60 species recorded nowhere else in Uganda. Five primates including the localized Patas monkey. Predators are well represented with 20 species resident in the park.The black –backed Jackal, Bat eared fox,Aardwolf, Cheetah and Caracal are found in no other park in Uganda- other predators include; lions, leopard, spotted hyenas, mongoose, Genets, and small cats. Localized antelopes like greater kudu, lesser kudu, Guenther’s dik dik, mountain reed buck are some of Kidepo’ specials. Large mammals like Elephants, Buffalos, burchell’s zebra , giraffe are quite common. They are Nomadic pastoralist obsess by love for cattle like the Masai of Tanzania and Kenya and are known as the Karamajongs. The Karamojong preserve their culture and still leave like the pre colonial Africa in most part of the region. Little or no crop farming, hunting and gathering of wild fruits, stems and roots are a common means of survival. Cattle rustling is still common and in most cases violently conducted with no respect for international boundaries of Kenya or Uganda. The raids mainly target livestock though the casualties include killing of innocent women and children that is of great concern to government in the region. Unlike the Masai the Karamojong Culture is less explored by other people including Ugandans. Though security has improved greatly, it is advisable to keep updated of situation when visiting this part of the country especially by road.